A delightful semi detached 17th century 3 bedroom cottage. Set within the heart of this famous Thameside period village within easy walking distance to village amenities, fine selection shops and the train station. May Cottage has had considerable updating to include; new electrical consumer unit, new sockets and extensive re wiring, roof repairs, redecoration, a new ensuite bathroom with new shower, built in wardrobes and new carpets throughout. ● Parking space in the village hall car park which is only 1 minutes walk from May Cottage (approx.) – licence issued by the Parish Council, currently costs £40 per month – copy of the licence available upon request. Note: The existing kitchen is in need of updating but a new vendor may consider relocating the kitchen to the existing dining room creating a much larger kitchen/ breakfast room and the existing kitchen could become a study or playroom. I am able to confirm that relocation of the kitchen to the dining room, essentially requiring fitting out and no structural changes to the property, and affecting later extensions to the property, is acceptable without the need for a formal application for Listed Building Consent, since the works described are not considered to impact on the special architectural and historic character of the listed building or any elements of significance of it. Local facilities: Pangbourne is a wonderful Thameside period village with a mainline train station, buses, schools and library, an extensive selection of independent shops, dentists, hairdressers, butcher, cheese shop, doctors` practice, pubs and fine restaurants. Junction 12 of the M4 at Theale is only five minutes driving distance and Pangbourne station gives commuter access to Oxford, Reading and London Paddington, if so desired. Schools: Excellent schools are to hand with Pangbourne College just up the road; Bradfield College, St Andrew`s Preparatory School and Brockhurst & Marlston House Schools are nearby. The Oratory School, Downe House, Cranford House, Moulsford Preparatory School are within easy driving distance. 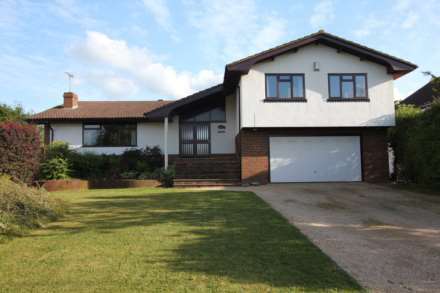 May Cottage is walking distance to the Pangbourne Primary School, which has foundation stage 1.